A deep-sea Lucy Cousins classic makes a splash with a mesmerizing new cover. 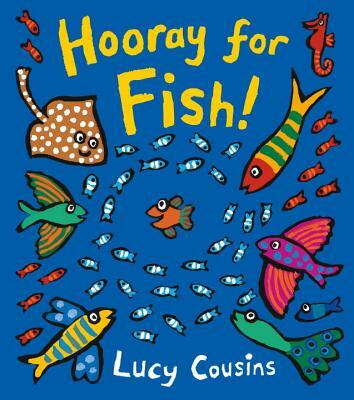 HOORAY FOR FISH is a pure delight for inquiring eyes. Simple, somewhat educational, well-illustrated and doesn't expend too many of my brain cells at the end of a long day.